As you may have seen on Instagram, I've been in Palm Springs with Neil soaking up the sun as much as I can in between sessions at a blogging conference! I was so excited to partner with Walmart as I got packed for this trip since they've been making huge strides to step up their fashion game. 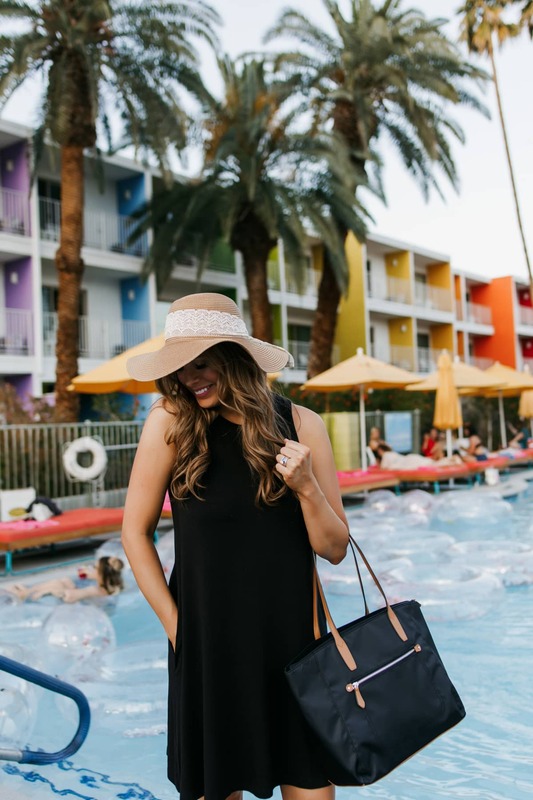 I was able to find some seriously cute poolside options for absolutely incredible deals, and I can't wait to share these crazy good finds with you that won't rob your whole piggy bank. First up: SWIM SUITS! I totally believe that you can never have too many good suits (especially when you live close to the beach like I do! ), and at these price points, you won't break the bank while stocking up! This classic black one piece never goes out of style! I really love the way the exposed seams on this one slim and elongate while also adding a bit of interest! A halter neck is also so flattering on so many different body types. And THE PRICE on this black swimsuit was the #1 selling point for me. Under $20 for a suit that looks just as cute as a department store swimmer? Yes please!!! At less than $30, I loved how cute these sunglasses were! The geometric frames, colored lenses, and gold accents — I loved it all. It's also nice to enjoy the pool or the ocean in a pair of sunnies that didn't cost a fortune, and you're not worried so much about losing or having your kids scratch or leaving somewhere! I love anything with a bow on it, so these sandals were a no brainer! The slide style makes them so easy to slip on and off at the pool or beach, and they're even cute enough to wear with a casual outfit for running errands! I loved them so much that I bought them in TWO COLORS. 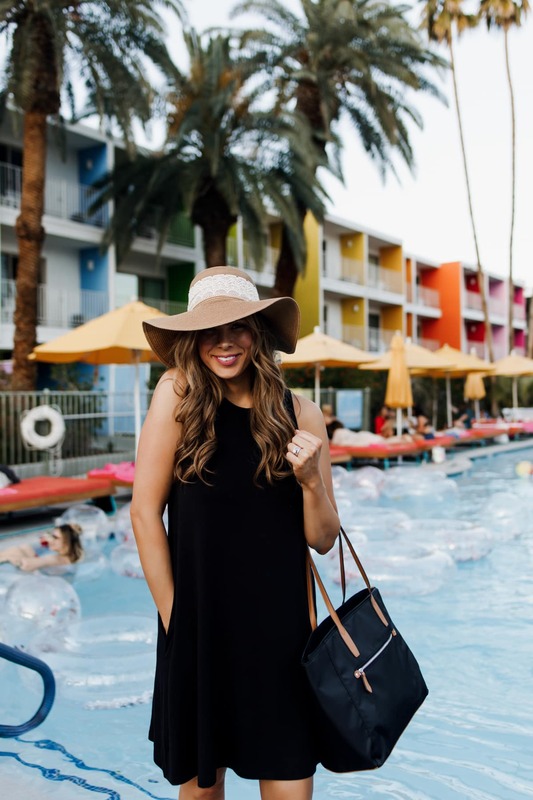 This massive floppy hat with a feminine lace trim is maybe the cutest AND most inexpensive way you can protect your pretty face from sun damage this summer. 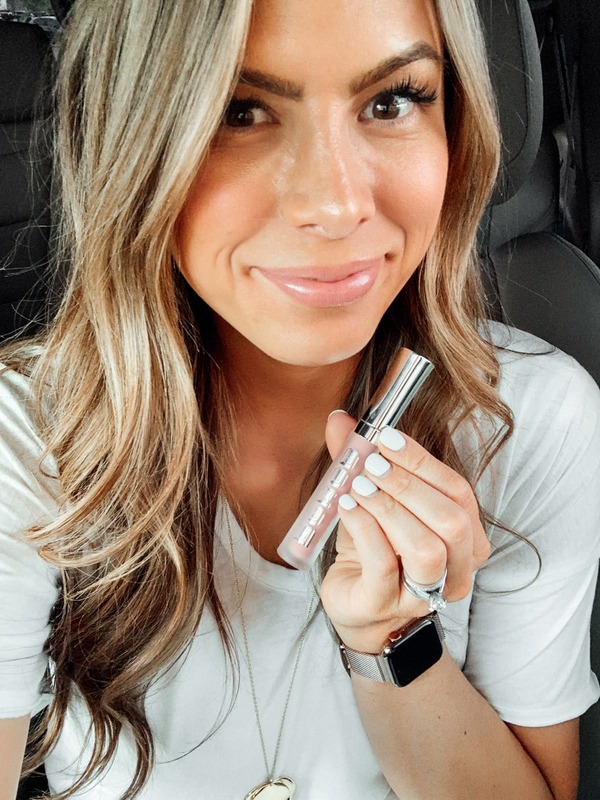 It's less than $10 and will keep you totally in the shade! I grabbed this sleeveless knit dress to throw on as a cover up on my way to and from the pool and it worked like a charm. I love how lightweight and buttery soft the fabric is and it comes in so many color options, you might as well grab a couple! 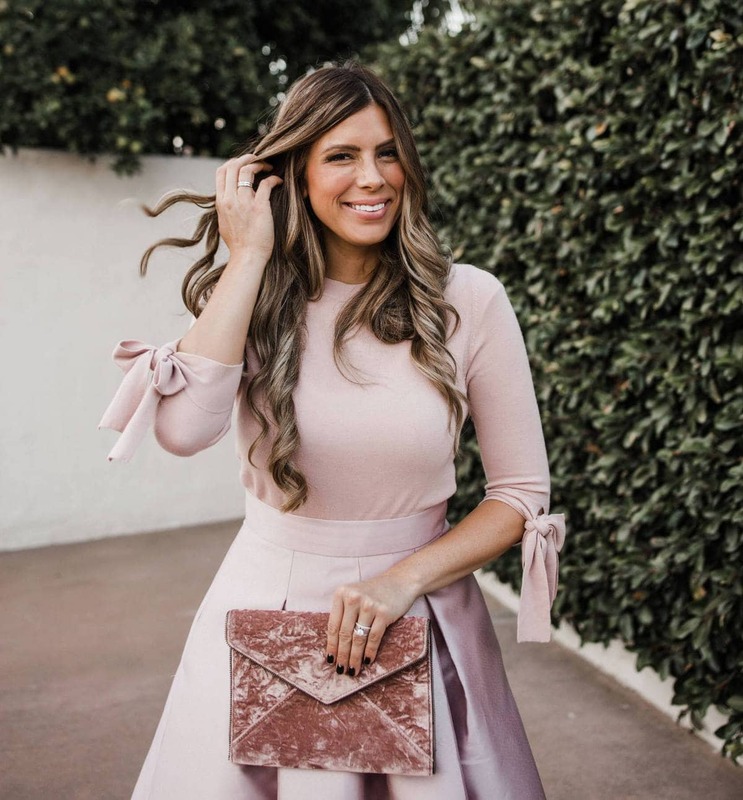 When I wore this dress in Palm Springs, I kept telling my friends, “you have to feel how soft this dress is” and each time they responded with an “OOOOOHHH” because seriously, it really is RIDICULOUSLY soft. And did I mention it's only $10? And did I mention it comes in a bajillion colors? And did I tell you IT HAS POCKETS?! 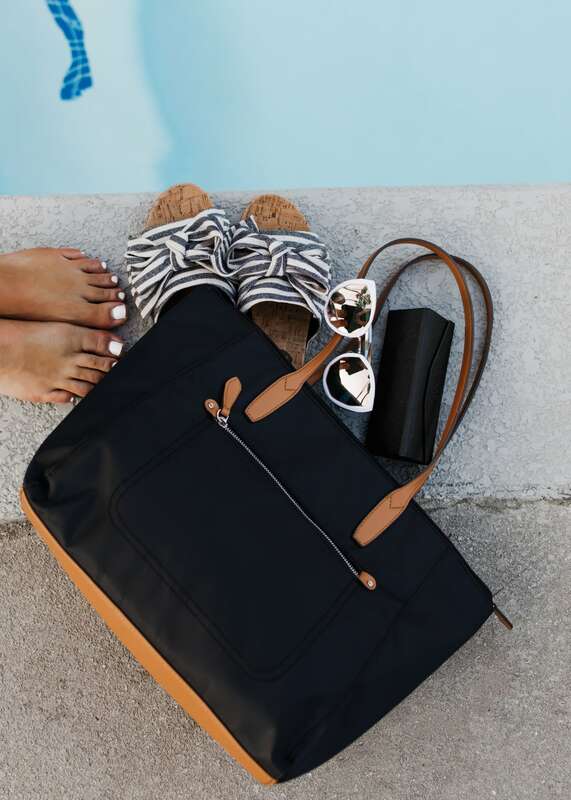 And this nylon bag was a perfect pick for the pool OR beach since it was super lightweight, neutral, and will wipe clean way easily after sticky snacks or sunscreen gets spilled into the bottom. Best of all, it was only $16.97. We've done the searching for you and found you the cutest swimsuits and cover-ups and even some fun accessories for all of the sunny beach and pool days ahead! Check them out below so you can look good while feeling good about saving some $$ this summer!